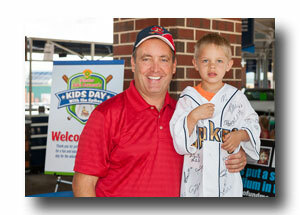 I'd like to thank everyone who took part in my annual Kids Day with the Spikes, which was held recently at Medlar Field at Lubrano Park. The free educational event features representatives from state and local agencies providing information to benefit children and grandchildren. 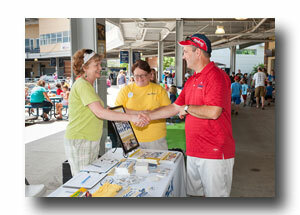 It’s a fun way to gain valuable information on programs and benefits available to help families. It’s also a great opportunity for me to talk to folks about issues they care about and hear feedback from constituents on local issues. Thanks again for making this day a great success. My “Scenes From the 34th Senatorial District” calendar contest is in full swing with a little more than a month left to submit entries. Contestants can submit their favorite shots, under one of 12 categories representing the state symbols, by going to http://www.senatorcorman.com/photo-contest. The contest will remain open for submissions until August 31, 2015. Online voting will take place from September 1, 2015 to September 30, 2015. On September 1, a link will be placed on www.senatorcorman.com with voting instructions. The contest is open to all individuals, both children and adults, residing in the 34th Senatorial District. To determine whether your photo is eligible, please click here to visit a map of municipalities. Winning photos will be featured in my 2016 Symbols of Pennsylvania Calendar. The photo receiving the top vote in each category will be featured for that month. The PA Veterans’ Trust Fund supplements state aid for important programs to help veterans and their families. Funding comes from donations made via a voluntary check-off box on driver's license renewals and vehicle registrations, the purchase of “Honoring our Veterans” license plates and direct donations. Please consider giving to the Trust Fund at driver’s license renewal time, or through alternative means. To learn more click here. 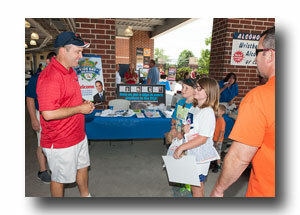 Community fairs are one of the many highlights of summer in our region. The entertainment and homemade food, and the celebrations of local history and culture make fairs a great experience for the whole family. The 2015 PA Fair Guide lists 109 different fairs. You can download the guide here. It’s been nearly a month since the governor vetoed the responsible, on-time budget the Legislature approved by the Constitutionally-mandated June 30 deadline. And while negotiations are ongoing, there are still divides between the governor and the Legislature that have prohibited a budget from being signed. The budget we approved included new funds for public education, without the $4.5 billion tax hikes that Governor Wolf is proposing. Many of us are wondering why Governor Wolf, who appeared to be a reasonable new leader, is insisting on such massive tax increases when we can meet the needs of state government without taking more money from families and businesses. I remain hopeful that a compromise can be reached so we can appropriately fund the services the people of Pennsylvania depend on.